It's nice to see more movies being made about the Arab American experience. I just wish they got wide releases. American East is about a family man who opens an authentic Middle Eastern restaurant with his best friend, who's Jewish. The most notable cast members include Tony Shalhoub (Monk), Alfre Woodard (American Violet) and Erick Avari (Mr. Deeds). 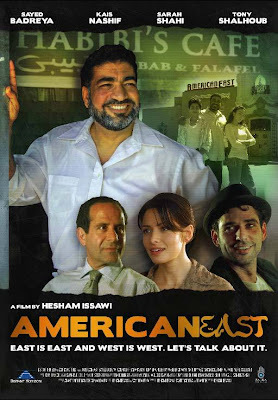 This film also touches upon the issue of being an Arab American actor in Hollywood. What do you think has to be done for us to see more Arab Americans get cast in non-terrorist leading roles? I bet my dad would really like this one, adding it to the queue!